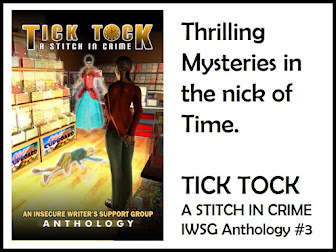 The Newest IWSG Anthology COVER IS HERE! And here is the first post from the Headliner Author... L.G. Keltner. 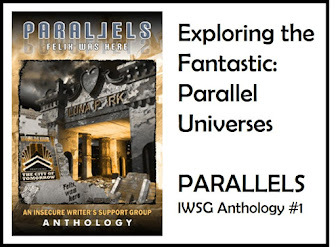 I was intrigued when I saw the announcement for the 2018 IWSG Anthology Contest a few months ago. The genre was young adult romance, and I have some experience writing young adult stories with romantic elements in them. These can be incredibly fun stories to write. Tapping into the awkwardness and excitement of the teenage years yields limitless opportunities for storytelling gold. The theme, however, stuck out in my mind more than anything else. Masquerade. 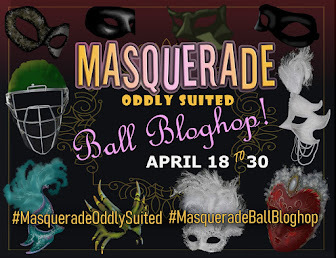 What do most of us think of when we hear the word masquerade? The first image that came to my mind was a masquerade ball where people wearing Venetian masks twirl about on a dance floor in fancy frocks and suits. Story possibilities abound with that image alone, but of course, that was one of many potential interpretations of the theme. I spent some time thinking of the word’s meaning. A masquerade is a false show or pretense. That definition can apply to so many aspects of life. In the world of a young adult protagonist, it might mean donning a fake persona in a school play or video. It can refer to the way they present themselves to the world online. It may also mean keeping a deep dark secret hidden from the world, including the people that are closest to them. What teenager doesn’t have secrets, after all? The settings and scenarios that may arise from this theme are endless. 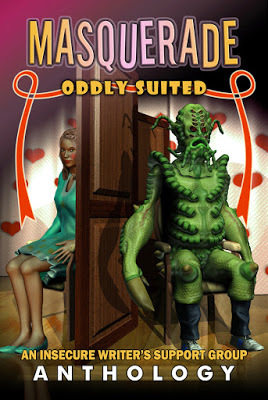 With all the possible interpretations of the theme, it should come as no surprise that Masquerade: Oddly Suited is comprised of stories that vary greatly in setting and tone from one another. It’s an honor to be part of a collection that offers so much variety to readers. 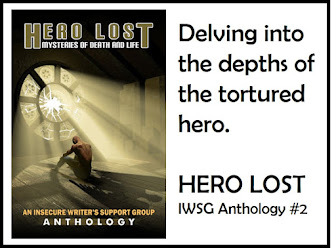 Perhaps that’s the greatest thing about the IWSG’s Anthology Contests. They give writers an opportunity to flex their creative muscles with themes that encourage a diverse range of responses, and the resulting anthologies will entertain readers for years to come. My fellow authors and I are eager to share this anthology with all of you. Hopefully you’ll enjoy reading it as much as we’ve enjoyed being a part of it. L.G. Keltner has been attempting to write novels since she was six. None of those early attempts were any good, but her passion for writing remained strong. She graduated from Drake University in 2008, and she lives in Iowa with her husband and children. L.G. 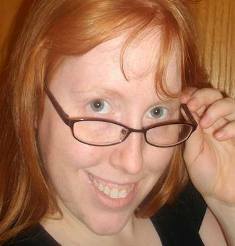 writes mostly science fiction, though she also enjoys writing humorous young adult stories. I figured a lot of people would go in that direction. I'm glad I chose to do something different. Great post! I loved the theme for the anthology too. I spent a long time thinking of all the different possibilities that the word 'Masquerade' suggested. I agree with you that it's wonderful how we've got such a diverse mix of stories for the anthology. I think there will be something for everyone. Thank you! I think there will be, too. 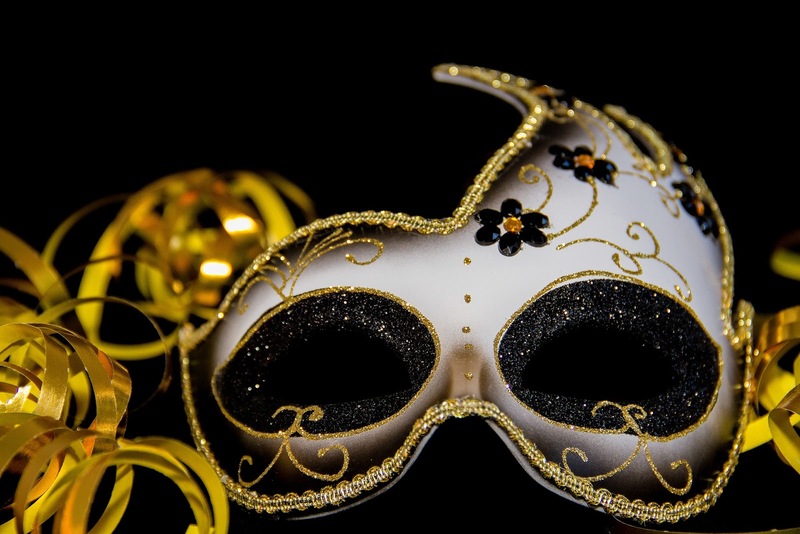 Masquerades can mean so much, and teens are definitely prone to hiding their true self. They sure are. I remember being that age. Great post. I'm very much looking forward to release day. I adore this theme. Looking forward to these stories!!! Thank you! I can't wait for people to read them! Well thought out, well written, L.G.! From what I've heard so far from y'alls stories, I super excited to read them as well! Pretty cool book. Congratulations on being in it.